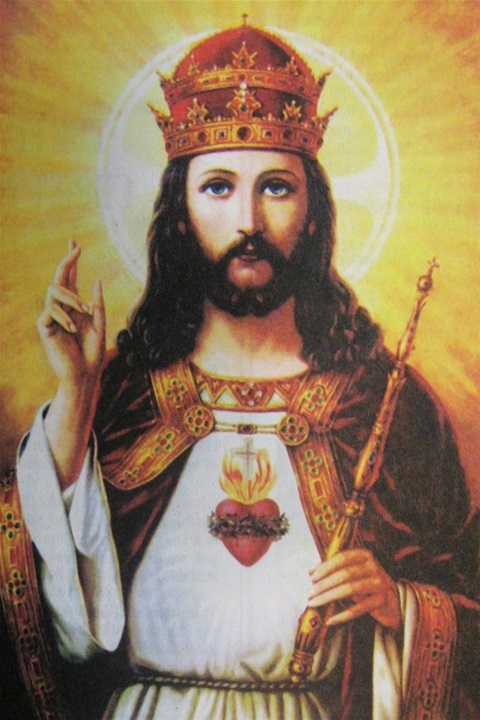 This Sunday we celebrate the Solemnity of Christ the King. But what sort of king is Jesus? In his responses to Pilate’s questions, Jesus distinguishes his kingdom from the political powers of this world. So Jesus is king, but just not the kind of king we imagine. Nor is the Lord’s kingdom something we would normally expect. The greatest in the Kingdom are the childlike. The weak conquer the strong, the foolish confound the wise. When someone takes from us we are to give them even more and we are expected to turn the other cheek to insults. And go figure, a camel gets through the eye of a needle because nothing is impossible with God! Perhaps even more strangely we are expected to love our enemies. And this leads us to the only one law in the Kingdom of God, the law of love. Normally we don’t tend to like the idea of being ruled by law (as we prefer to do our own thing), but the law of love isn’t forced upon us. Quite the contrary we are invited to accept the sweet rule of love if that is our choice. Certainly what Jesus is asking isn’t something he hasn’t himself done. Jesus freely subjected himself to the rule of love, giving his own life so we may have life to the full. That’s a pretty good king, one who serves because he loves. And that is why I recommend all of us to once again open our hearts and say yes as best we can to the rule of Jesus in our lives. Of course a big upside is that we ourselves are made a line of kings, but this comes at the cost of being duty bound to continue the royal tradition of God’s love. Not a bad deal in my mind. As the kingdom is about to grow in numbers today please be upstanding as we pray for our community, particularly for Thea and her family. Thea is literally about to take the plunge and receive God’s love poured into her heart!